The first full week in February is Burn Awareness Week and is intended to kick off an education campaign about burns that will extend for the year. This year, burn awareness week is February 3- February 9 and the week will focuses on the issue of scalding burns. Scalding, like burns by fire, acid burns and chemical burns, can present a significant danger and can lead to permanent injury or death. Our Boston burn injury attorneys applaud the efforts of the American Burn Association to educate the public about the serious risks. We encourage everyone to pay attention to public education campaigns about burn dangers and to do everything possible to protect themselves from getting burned. Scalding burns can happen to anyone, but the highest risk groups are young children, older adults and people suffering from disabilities. Both young children and adults have thinner skin and are more likely to experience deeper burns even with shorter exposure to scalding water. Those who are disabled, on the other hand, are endangered as a result of physical, mental or emotional challenges that may make it difficult for them to understand scalding risks or to act quickly to remove themselves from a situation where they are being scalded. 83,300 children ages 14 and under had to go to the hospital due to burn related injuries in 2003. Around 21,000 children were injured as a result of scalding. When children under four are hospitalized, scalding is the cause of their injury in 65 percent of cases. These statistics show that thousands of children are at risk of becoming victims of scalding and other burns. Parents and caregivers must be cautious of potential dangers and do everything possible to prevent scalding injuries. How do Scalding Burns Occur? Scalding burns from microwaves. Steam released from bagged microwave popcorn or from items cooked in the microwave when Saran wrap/covering is removed as well as the hot foods and beverages prepared in microwaves can all create a risk of a scalding burn. Tap water burns. These are likely to occur when the water heater thermostat is set too hot. These are just a few examples of top causes of scalding burns that parents and caregivers should be aware of to prevent burns in children and the elderly. All adults should also be aware of these dangers to protect themselves. 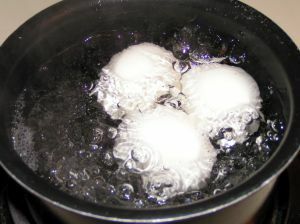 When you scald yourself, the severity of the burn will depend upon the temperature of the liquid as well as the length of the exposure to the dangerously hot liquid or steam. First-degree burns are usually relatively minor and involve damage only to the top layer of the skin. Second-degree burns affect both the top layer of skin (the dermis) and the layer immediately underneath (the epidermis). Third degree burns involve all layers of the skin and can also cause tissue damage or injure the fat, muscle and bone. Fourth degree burns penetrate most deeply into skin, fat, muscle, tissue and bone. Fourth degree burns are often fatal. For all serious burns, skin grafts may be required and permanent scarring and disfigurement is a common result. If you or a loved one has been injured by a burn or scalding accident in the Greater Boston area, contact the Law Offices of Jeffrey S. Glassman, LLC for a free consultation. Call 1-877-617-5333.